Season Of Joy Giveaway Winners! I’m probably late about this as I’m caught up with work as soon as the year began. 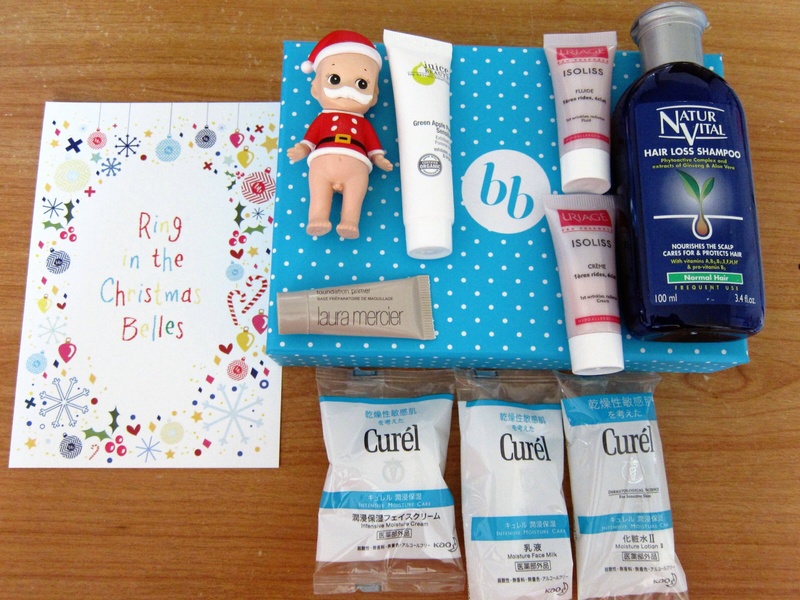 I’ve already selected winners for my personal beauty boxes. Congrats to Jess, Valerie and Sue(Instagram)! Hopefully the boxes have already reached you ladies safely. And here’s the winners for both DKNY and Origins giveaway! Congrats to the winners! Thanks for supporting my giveaway! I will contact you ladies via email or social media for the collection of the prizes! Also, can suxianna kindly email me? You have won the Bellabox giveaway! I tried FB message you but no replies. And your accounts are private! Do contact me for the collection of your prize! Don’t worry if you did not win this time round! I still have 3 sets of NUXE goodies to be given out! NUXE giveaway will be extended to 15th January 2015! It’s Christmas Eve!! Merry Christmas in advance everyone!! Hope you guys are having a great day! I have got goodies to pamper your skin today! Origins have kindly sponsored me with their holiday gift sets and three lucky readers will win one set each! I’ve previously attended Origins events and I like the fact that they use 100% natural ingredients in all their products! I also liked how all their products smell, with the organic scent of the ingredients used in the products. Origins is also an environmental friendly brand. You can bring your cosmetics empties to Origins counter which have the recycling bin for them to recycle. One counter which I know have this bin is the Origins counter at Isetan. I have here two sets of Superstar Mini Holiday Set and one Let Us Glow Holiday Set to be given away! The Superstar Mini Holiday set consists of 7 deluxe minis of their best selling products. It is a great set to have to try out Origins products if you have yet to try out the brand or would like to see how well these best sellers fare. As usual, to stand a chance to win one of the Origins Holiday Gift Sets, you simply have to be a follower on my Twitter/Instagram(@joyceforensia) or be a fan on my FB Page. To enter this giveaway, simply leave a comment below with your name, email, twitter/instagram or FB ID. Hi all! Today’s giveaway is to make you smell good! Other then the skincare and makeup, we need to be sure we smell good too! DKNY have kindly sponsored three holiday sets to be given away to three lucky readers of mine! I have previously review the DKNY Be Delicious Empire Apple fragrance which is the same as the original DKNY Be Delicious in the green packaging! I like how refreshing and not over the top the scent is. It’s one of my to go scent when I want to smell good and fresh and not too overwhelming sweet. Plus I like how it really last the whole day, which kept me smelling nice and fresh! For those who prefer a more floral scent, the Fresh Blossoms variant will be a good choice! If you have yet to try DKNY fragrances, this is a good chance to win one of these lovely fragrance and fall in love yourself! The holiday sets includes the EDT in a 30ml bottle which is really handy for travel. Also it comes along with a body lotion of the same scent. The Golden Delicious one comes with a shimmering body lotion. As usual, to stand a chance to win one of these DKNY holiday sets, you simply have to be a follower on either my twitter/instagram (@joyceforensia) or am a fan on my FB Page! To enter into the giveaway, leave a comment below for this blogpost stating your name, email (so I can contact you if you win), twitter/Instagram/FB ID. And also state which one of the three fragrance set you will like to win. The three DKNY sets are Be Delicious (green), Be Delicious Fresh Blossoms (pink), Golden Delicious (gold). Check out the other Season of Joy Giveaway! Day 2 ‘s giveaway is brought to you by NUXE! They have kindly sponsored 3 sets of Huile Prodigieuse (100ml) that comes in a very pretty cosmetic bag along with deluxe samples of some of their star products! I’ve previously written about the Huile Prodiegieuse here and I really like this oil for my hair and body. Of course it can be used for the face too as an overnight moisturizer! 3 Lucky winners will get to walk away with this set worth about $150!! To get a chance to be one of the lucky winners, you simply have to be a follower on either my Twitter or Instagram or like my FaceBook Page if you have yet to do so. Just leave a comment on this blog post with your name, Twitter/Instagram/FB ID and your email address and why would you like to win the Nuxe set! Do also like NUXE SG’s FB page to know more about their products and any promotions!